E-Filing of FDI proposal is a continuous process and proposal are placed before the FIPB only after completion of all the paper works. In the light of the importance of foreign direct investments for economic growth and development, the government announced key FDI reforms in the defence and railways sectors. The entire range of rail infrastructure was opened to 100% FDI under the automatic route, and in defence, sectoral cap was raised to 49%. To boost infrastructure creation and to bring pragmatism in the policy, the Government reviewed the FDI policy in the construction development sector also by creating easy exit norms, rationalizing area restrictions and providing due emphasis to affordable housing. To give impetus to the medical devices sector, a carve out was created in FDI policy on the pharmaceutical sector and now 100% FDI under automatic route is permitted. The Government, in order to expand insurance cover to its large population and to provide required capital to insurance companies, raised the FDI limit in the sector to 49%. Pension sector has also been opened to foreign direct investment up to the same limit. The FDI policy provisions pertaining to NRI investment have also been clarified by providing that for the purposes of FDI policy, investment by NRIs on non-repatriation basis under Schedule 4 of FEMA (Transfer or Issue of Security by Persons Resident Outside India) Regulations will be deemed to be domestic investment at par with the investment made by residents. 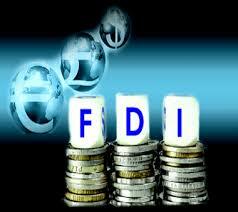 These measures are expected to increase FDI, which complements and supplements domestic investment. Domestic companies are benefited through FDI, by way of enhanced access to supplementary capital and state-of-art-technologies; exposure to global managerial practices and opportunities of integration into global markets resulting into increased production, export and employment generation of the country. Further, as FDI is largely a matter of private business decisions, global investors normally take time to assess a new policy and its implications in the context of a particular market before making investment. Review of Foreign Direct Investment (FDI) policy is an ongoing process. Significant changes are made in the FDI policy regime from time to time to ensure that India remains increasingly attractive and investor-friendly. · Minimum Export Price (MEP) for onion has been raised from USD 250 per M.T to USD 425 per MT w.e.f. 26.6.2015. · The stock limits in respect of onion has extended by one more year i.e. up to 2nd July 2016 under the Essential Commodities Act. · Export of all pulses is banned except kabuli channa and up to 10,000MTs in organic pulses and lentils. Zero import duty on pulses has been extended till 30th September, 2015. · Export of edible oils in bulk is prohibited except coconut oil and other edible oil in branded consumer packs of up to 5kgs is permitted with a minimum export price of USD 900 per MT w.e.f. 6.2.2015. · States have been advised to allow free movement of fruits and vegetables by delisting them from the APMC Act. · A new Plan Scheme titled Price Stabilization Fund (PSF) with a corpus of Rs.500 crores approved aimed at regulating price volatility of agricultural and horticultural commodities. Under the scheme a decision has been taken to augment the domestic supply of pulses by importing 5000MT of Arhar. · States have been advised to exempt levy of market fee on fruits and vegetables and to allow establishment of “Kisan Mandis”/ Farmers markets where producers and Farmer Producer Organizations (FPOs) can directly market their produce to wholesalers, organized retailers and ordinary consumers. · Government is also encouraging production of horticultural crops through a Centrally Sponsored scheme, namely Mission for integrated Development of Horticulture w.e.f 2014-15. · Advisory to State Governments issued to take strict action against hoarding & black marketing and effectively enforce the Essential Commodities Act, 1955 & the Prevention of Black-marketing and Maintenance of Supplies of Essential Commodities Act, 1980. · Rice and wheat is being released into the open market from the central pool stock over and above the buffer norm. · The joint action plan following the consultation meeting held on 7th July 2015 with States/UTs inter-alia agreed to identify vulnerable areas where supply shortages occur and ensure that stock out situation do not occur for items of common consumption and also review of APMC Act with reference to onion, potatoes and tomatoes to remove inter-State barriers to internal trade. Source:- States/UTs Civil Supplies Deptts. The media has widely reported today dated 24.07.2015 on the answer of the Department of Agriculture & Cooperation laid on the table of the Rajya Sabha. This was the answer to Starred Question No. 53 raised by Shri C. P. Narayanan, Hon’ble Member of Parliament on the subject of “suicide by farmers”. It is generally seen, that all the States do not report the data in time and, therefore, the department is compelled to show as ‘not reported’ (NR) against various States. Hence, the NCRB data also is submitted as part of the answer along with that reported by the State Governments. i) Family problems, illness, drug abuse/addiction, unemployment, property dispute, professional/career problems, love affairs, bareness/impotency, cancellation/non-settlement of marriage, dowry disputes, fall in social reputation and unknown causes. ii) In fact, NCRB also indicates percentage of suicides under each of these categories. In the answer of the Department to the Starred Question No. 53 under reference the Department has submitted state-wise details of suicides by the farmers for the years 2012, 2013 and 2014, as reported by NCRB and also by the State Governments in two separate annexures. Further, in case of reports by the State Governments, the number of suicides up to June 2015 has also been provided. The comparable figure by NCRB have not been reported since the annual report is not available. As seen thus, it was not the intention of the Hon’ble Minister Agriculture to attribute the causes of farmers’ suicide to issues like love affair etc. It has been taken out of context and is being highlighted in an unwarranted manner. It is for the first time, that every farmer in the country will be issued SHC which will indicate the status of his soil in terms of 12 parameters and will also be given an advice on the various fertilizers and other soil amendments he is suppose to make. The effort will ensure that farmers do not spend money unnecessarily on purchase of fertilizers by adding more than required. Once there is economy on the use of chemical fertilizers, the cost of production will automatically decrease. Further, the Government is going to give SHC to every farmer once in every cycle of 3 years. As many as 14 crore farmers will benefit in each of the cycle of 3 years. The soil test based fertilizer usage will ensure higher yields per unit. This is further being supplemented by Government’s decision to produce locally neem coated urea on a 100% basis. Indigenous manufacture of fertilizers accounts for 75% of urea usage in the country and thus major part of urea requirement will be neem coated. According to Scientists, there will be saving of 10% on the usage, which will be a direct cost saving to the farmers. Another component is PKVY, under which the government would be promoting organic farming on a cluster basis. This will also reduce the cost of cultivation while simultaneously increasing the per hectare yield particularly in the rainfed & hilly areas of the country. The unique feature is, that it is decentralized and participatory in nature, apart from being cluster based. So far as post production intervention is concerned, the government has rolled out ‘Unified Agriculture Market’ as a strategy to transfer remunerative prices to the farmers. When fully implemented, it will improve market efficiency and ensure that farmers’ incomes increase. In addition to it, the government is working on a comprehensive crop insurance. These programmes, among many others that the department has rolled out, will improve the farmers’ situation by firstly, reducing his cost of cultivation and secondly transferring him optimal prices on his produce. This is the right strategy to improve farm sector. After the launch of ‘Make in India’ initiative in September 2014 there is 48 percent increase in FDI equity inflows during October 2014 to April 2015 over the corresponding period last year. A positive response has been received from within the country and globally for the ‘Make in India’ initiative. The Investor Facilitation cell in Invest India has received more than 12000 queries on its portal since the campaign began. Several countries such as Japan, China, France and South Korea have announced their intention to make huge investments in India in various industrial and infrastructure projects. An Expert Committee has been constituted to examine the possibility of replacing multiple prior permissions and pre-existing regulatory mechanism and to prepare a draft legislation. · Extended financial assistance to the sugar mills in the form of interest free loan of Rs. 6600 crore through banks (SEFASU 2014), for sugar season 2013-14. · Providing incentive for production and export of raw sugar during the sugar seasons 2013-14 and 2014-15. · Extending soft loan of Rs. 6000 crore from banks with interest subvention and moratorium for one year for sugar season 2014-15. · Smoothened the supply chain procedure for EBP and fixed its remunerative price. · Waived excise duty on ethanol to be supplied for EBP in 2015-16 sugar season. · Import Duty increased from 25% to 40%. · Processing time under Advance Authorization Scheme reduced from 18 months to 6 months. · The “Duty Free Import Authorization” scheme (DFIA) for sugar withdrawn to prevent possible leakages. These mentioned initiatives seek to mitigate liquidity crisis of the sugar industry and enable it to make timely payment of cane dues of the farmers. No additional funds have been earmarked for this purpose. This information was given by the Minister of Consumer Affairs, Food and Public Distribution, Shri Ram Vilas Paswan in a written reply in Rajya Sabha today. Keeping in view the procurement potential areas, procurement centres for MSP operations are opened by Government agencies, both FCI and State Government, after mutual consultations. Farmers are made aware of the MSP operations by way of advertisements like displaying banners, pamphlets, announcement for MSP and specification in print and electronic media. Payment for the wheat and paddy procured from farmers is either made directly to the farmers or through arthias/co-operative societies as per prevailing system of the State. Payment to farmers are also made through A/c payee cheque/electronic mode. Even in respect of paddy purchased by millers, GOI has already advised State Government to ensure payment to farmers by millers/Pvt traders through A/c payee cheque so that trail of payment can be made while issuing MSP certificate to millers for delivery of levy rice to State Government /FCI. State Governments are encouraged to undertake decentralized procurement, so as to enhance the procurement of food grains. MSP has been enhanced from time to time to encourage delivery of foodgrains into central pool purchase.